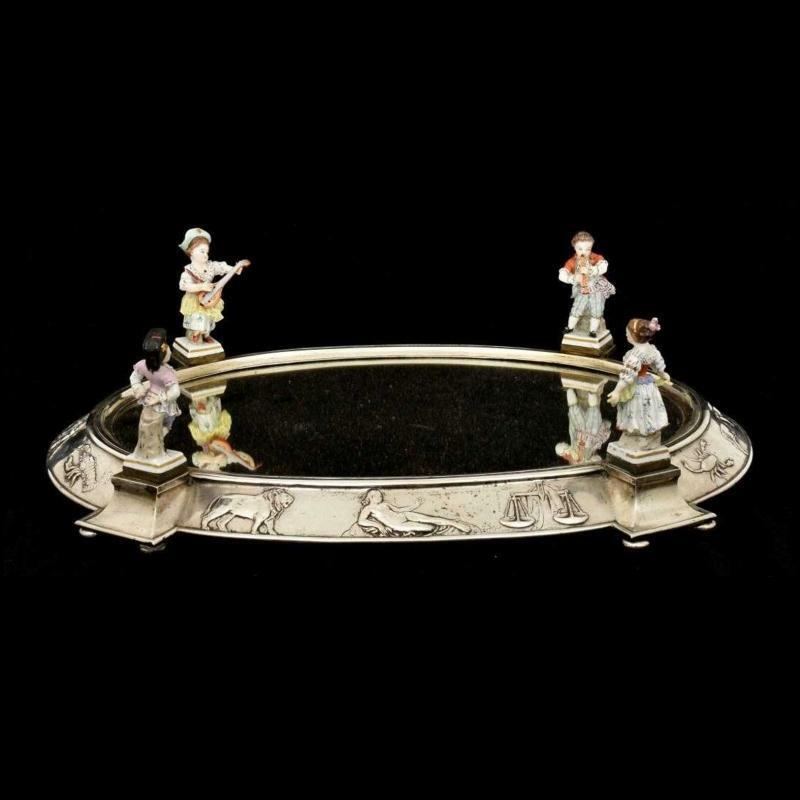 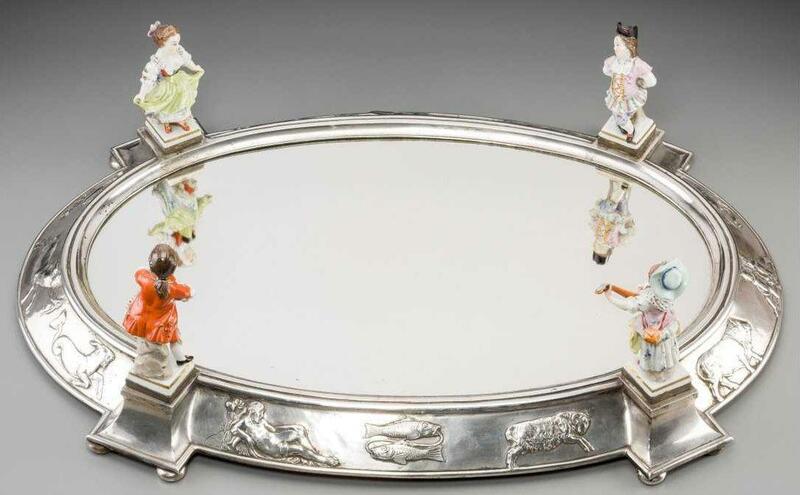 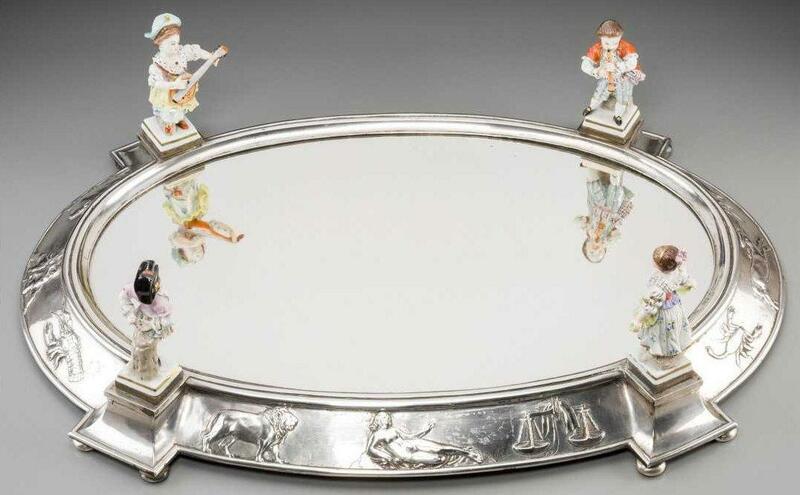 This magnificent and very unique silver surtout de table features embossed figures of signs of the zodiac and four polychrome decorated porcelain figures affixed to the platter, including male flute player, female playing guitar, and male and female dancers. 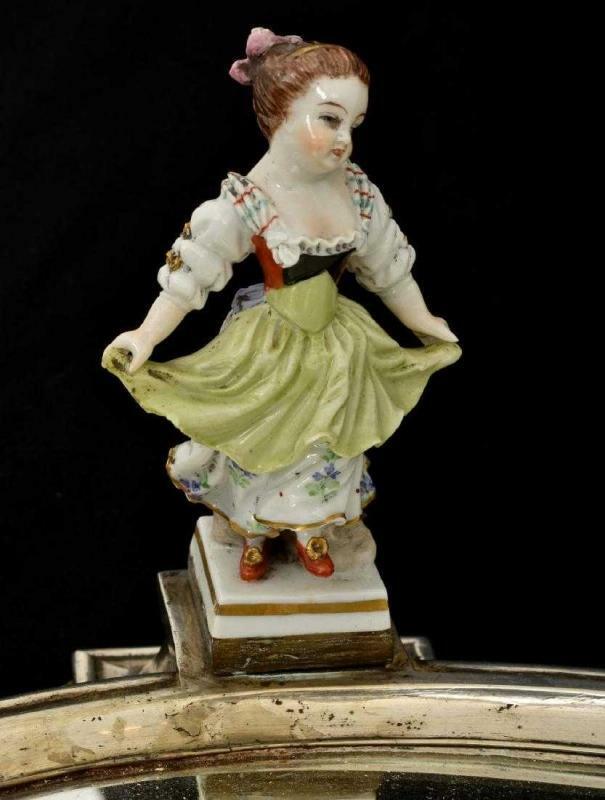 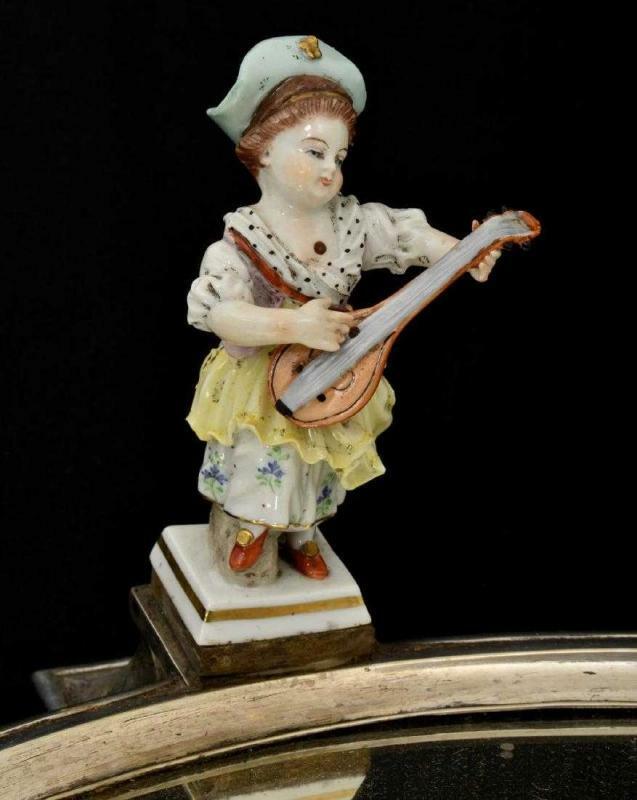 The figurines are attributed to KPM based on other hallmarked KPM figurines of similar scale with similar painted faces and parcel gilt square pedestals. 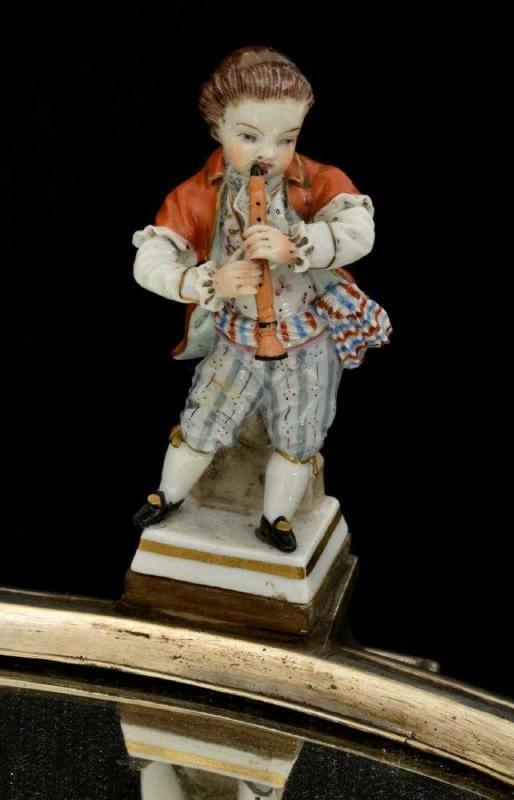 24 x 16.5 x 6.5 in (61 x 42 x 16 cm). 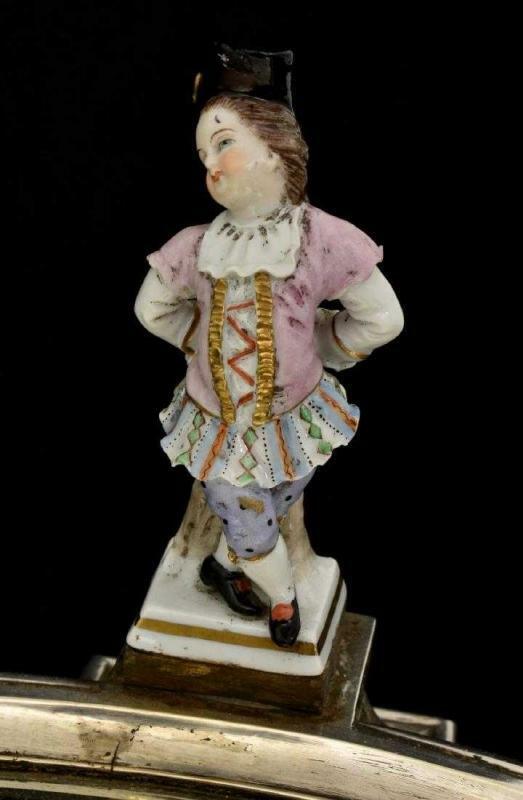 Believed to date from the first quarter of the 20th century and apparently unmarked. 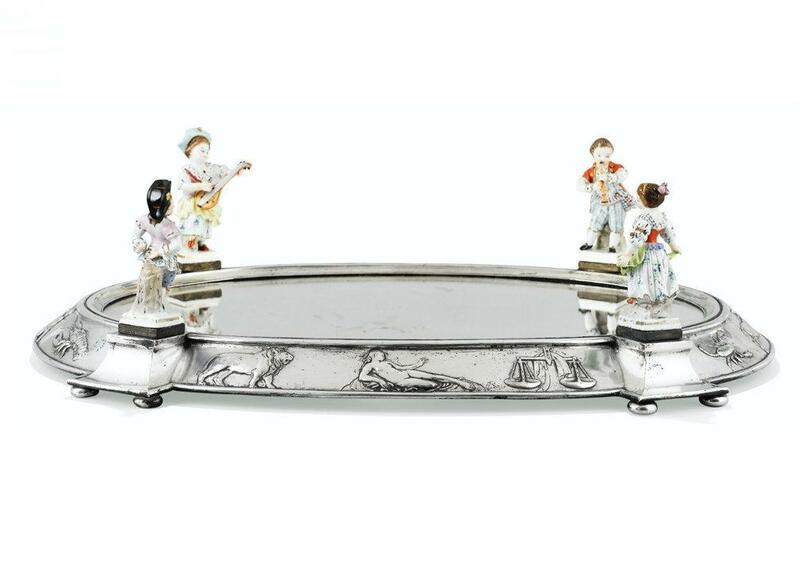 This is the only silver and porcelain surtout de table we have seen anywhere in our 17 years in business.